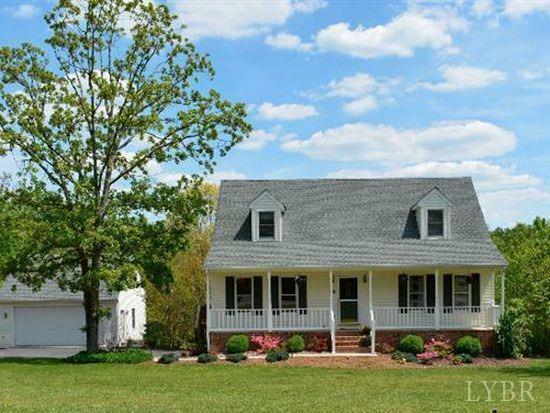 Beautiful 4 BR Home with 3-Car Garage on 1.26 acres, in an uber-convenient, peaceful location! With quick & easy access to anywhere you need to be, you will appreciate the location while enjoying peace & quiet. Inviting living room with vaulted ceiling and floor to ceiling fireplace. Large, sun-filled kitchen, and a magnificent wrap around porch! This home is perfect for entertaining friends and guests, or simply relaxing and enjoying times with loved ones. Main level boasts formal dining room, spacious master bedroom and master bath, convenient main level vanity and tons of charm and character. Upstairs features 2 more generously sized bedrooms, shared full bath, and open design with secured balcony overlooking the living room area. Moving downstairs we find a large family room with plush new carpet as well as a fabulous 4th bedroom, beautiful 3rd full bath with ceramic tile shower & large walk-in closet, & much more. And please don't miss the 2-level, 3 bay garage! Priced to sell!